I visited the Grand Canyon in Arizona a few years ago, and was captivated by it. It’s huge, colourful, and quiet, and if anything, ‘Grand’ is an understatement. 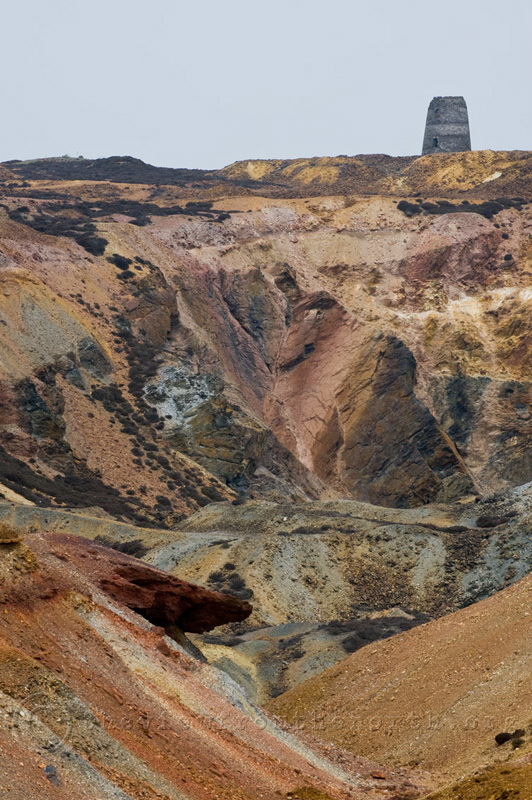 While Parys Mountain is a mere fraction of the size, it’s amazing colours were hugely reminiscent. Parys Mountain was once a huge copper mine, and so although the colours are natural, the geography of the hole they are in is man-made, unlike the Grand Canyon, which is the result of millions of years of erosion by the Colarado River. Parys is far more accessible (you don’t have to take a helicopter or small plane to get there, it’s easy enough to drive), and you can just wander in, and around the mine as you like. You can even go underground to te old workings, although access to this is more controlled. Fantastic colours! Parys Mountain is a great place for a wander.